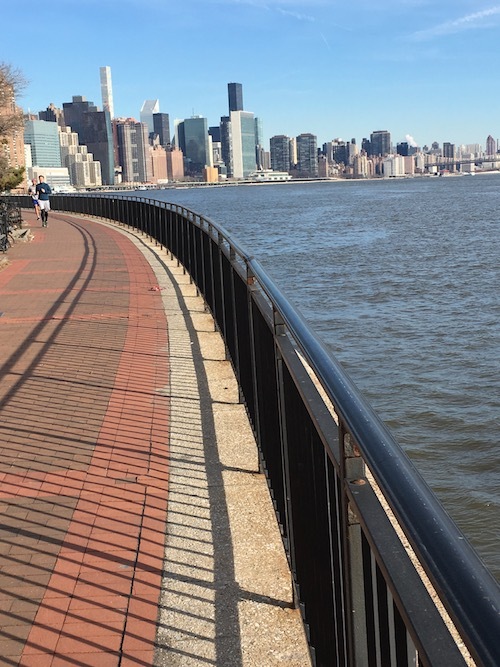 The East River Greenway is another car-free esplanade on the waterfront on the East River. It stretches from Battery Park in the south to 125th Street in north, about 9 miles, with a 1.2 mile-long gap between 34th Street and 60th Street where busy First and Second Avenues are needed to get around United Nations headquarters. The gap is currently under development and it is expected to be fully completed by 2024(!). We have divided the route into two sections, one is north from the UN and the other to the south. Especially pretty at sunrise. Much of the path is lit! 2. East 34th Street-East 125th Street. 5.0 miles one-way. This part of the East River Greenway consists of East Harlem, Carl Schurz Park and Upper East Side, and it tends to be less crowded than below East 34th Street. Enjoy spectacular views of the north end of Roosevelt Island and its lighthouse. 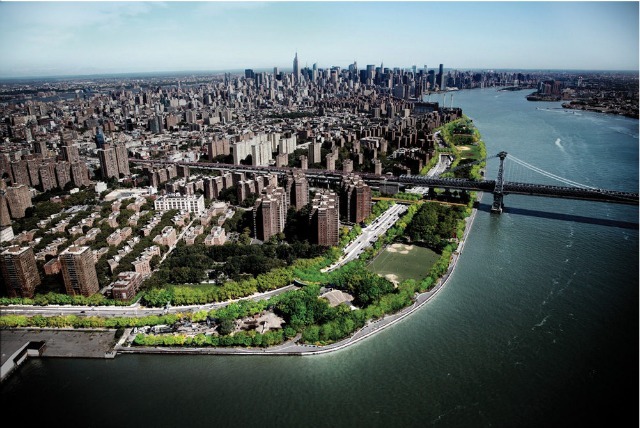 You will also see western shoreline of Randall’s Island as well as the Robert F. Kennedy Bridge and the Willis Avenue Bridge. It is possible to run over to Randall’s Island — which is nice in theory but there is quite a bit of construction. Have you ever considered about adding a little bit more than just your articles? I mean, what you say is important and all. Nevertheless just imagine if you added some great pictures or videos to give your posts more, “pop”! Your content is excellent but with images and clips, this site could certainly be one of the very best in its niche. Fantastic blog! I have learn a few good stuff here. Definitely price bookmarking for revisiting. I surprise how a lot attempt you put to create the sort of excellent informative website. My wife and i ended up being quite delighted that Ervin could deal with his survey out of the ideas he acquired while using the web page. It’s not at all simplistic to just continually be freely giving tips and hints the rest could have been selling. We grasp we now have the website owner to appreciate for that. The most important illustrations you made, the easy web site menu, the relationships you can aid to engender – it is many exceptional, and it’s really letting our son in addition to the family reason why this concept is fun, which is tremendously vital. Thanks for everything! What i don’t understood is actually how you are not actually much more well-liked than you might be right now. You’re very intelligent. You realize therefore considerably relating to this subject, produced me personally consider it from numerous varied angles. Its like men and women aren’t fascinated unless it’s one thing to do with Lady gaga! Your own stuffs nice. Always maintain it up! I must express my love for your kindness for folks who should have assistance with the concern. Your very own commitment to getting the message around appeared to be pretty advantageous and have usually permitted many people much like me to reach their endeavors. Your important useful information indicates so much to me and extremely more to my office workers. Best wishes; from each one of us. I just like the helpful information you supply on your articles. I will bookmark your blog and check once more right here regularly. I’m fairly sure I will be told a lot of new stuff right here! Good luck for the following! I don’t even know the way I finished up here, however I assumed this put up used to be good. I don’t know who you are however certainly you’re going to a famous blogger in case you aren’t already. East 34th Street to Battery Park: 4.4 miles. East 34th Street-East 125th Street: 5.0 miles. Subway along Lexington Ave. New 2nd Ave. subway has opened!